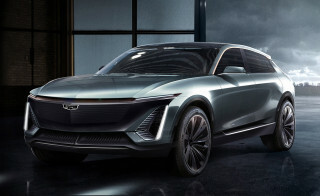 At the Detroit auto show on Monday morning, Cadillac previewed GM's new platform for electric cars, Infiniti previewed a new look for its upcoming electric lineup with a new SUV concept. Nissan reinvented the sedan with its new electric concept. And Ford previewed a new hybrid version of its mainstay Explorer. All this and more on Green Car Reports. At an event meant to showcase its new three-row luxury SUV, the XT6, Cadillac also previewed the electric SUV it plans to produce in about three years. It will be the first GM vehicle to get the company's new BEV3 platform, with a flexible "skateboard" chassis and a battery pack that can be scaled to various sizes. 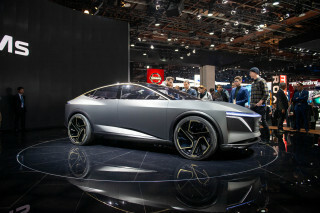 Infiniti is another luxury brand that has plans to go all-electric, also showed its first electric SUV concept, the QX Inspiration at the Detroit show. Nissan's more mainstream namesake brand showed an electric concept sedan that is decidedly less mainstream. The Nissan IMs is an elevated luxury sedan with a limo-like rear seat and 380 miles of range. 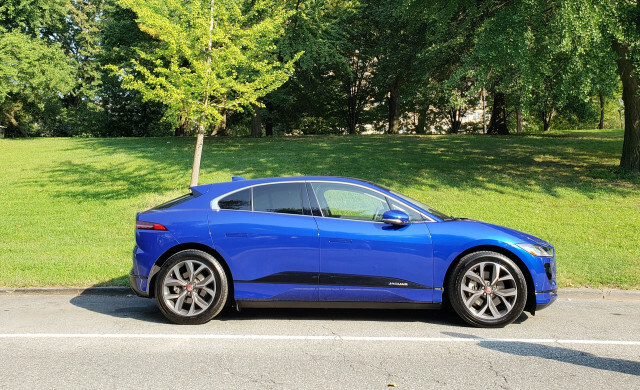 Despite the rush into electric SUVs by mainstream automakers, the Jaguar I-Pace narrowly missed winning the North American SUV of the Year award. It was one of two runners up. The award went to the Hyundai Kona along with its electric version, which will go on sale only in California in a few weeks. Ford revealed its new rear-wheel-drive based Explorer, complete with a new optional hybrid powertrain that's not just for police use. 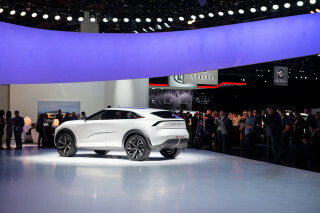 The hybrid SUV marks the start of the company's new push to electrify its lineup. Earlier, in a meeting on Friday with investors, where GM announced that it would make an electric push at Cadillac, company president Mark Reuss dashed hopes of a replacement for the Chevrolet Volt, saying the company will focus on battery-electric cars. Volkswagen has decided to expand its Tennessee plant as a base for made-in-the-U.S.A. electric cars. Along with developing a new lineup of electric cars, Cadillac plans to roll out its Super Cruise self-driving system to all of its models by the end of 2020. Finally, audio-system supplier Bose announced a system to cancel road noise in cars planned to roll out in 2021. The system could save weight and cost in components such as insulation and tires.